Each individual string on my guitar is in tune but chords do not sound right at all. I checked the intonation at the 12th fret for each string and that also seems to be ok. This is a strat style guitar with a vintage tremolo and now I'm thinking that could be the problem (i think the tremolo was abused by a member of my family who doesn't know how to play). Please give me some suggestions so maybe I can avoid a repair fee. Sounds like a problem with the bridge. This definitely could have been caused by the misuse of the tremolo. Since I can't actually SEE the guitar, it is not possible to give specific advice and if you try to adjust the bridge, you may end up making the problem worse. My advice is to take the guitar to a qualified repair person. Unless the bridge has been completely destroyed, it should not be an expensive adjustment. Once it is fixed, keep the guitar out of the hands of family members. Join in and write your own page! It's easy to do. How? Simply click here to return to Ask Guitar Questions. 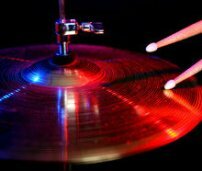 Try Our Drum Tabs The Best on the Web! How Much is Your Guitar Worth? I promise to use it only to send you ABSOLUTELY FREE Music Lessons!.